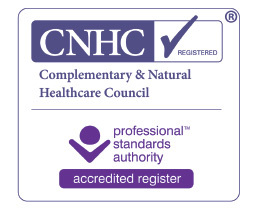 Once you are CNHC Registered, you will be sent a certificate for public display, which includes the CNHC Quality Mark. The Quality Mark also incorporates the Professional Standards Authority accreditation mark and provides an independent indication of quality to those wishing to use complementary therapy services. You will also be able to use the CNHC Quality Mark on websites, promotional literature and elsewhere as confirmation to the public that you meet the standards set by the CNHC. By using the CNHC quality mark you are demonstrating to members of the general public and other healthcare providers that you conform to UK-wide standards of practice in your work. Please note, use of the CNHC quality mark is limited to publicity material specific to the therapies for which you are registered. If any of your promotional materials list more than one therapy, you must state clearly next to the quality mark on these materials, including any website(s), which discipline(s) you are registered for, unless you are registered for all of them. Please note any practitioner who does not renew their registration or who ceases to be registered with the CNHC for any other reason, MUST remove the CNHC Quality Mark from their website and any other publications.